I would like to welcome Tonkatzu by Terazawa here in the City of Golden friendship, another newly opened restaurant of the Bistro-Group added to TGIF and Italiani's! Actually, I am not a Japanese food lover but I tell you after trying their Katsu meals I'm now beginning to add the Japanese menu on my lists. Here is a serving of tasty, tender pork cutlets fried to perfection, served with pickled vegetables, shredded cabbage, miso soup and unlimited rice is an irresistible meal anytime of the day. Yes you read it right, unlimited rice and this delightful fare one can enjoy only at Tonkatsu by Terazawa, the first Philippine franchise of the Japan-based chain brought to the country by the Bistro Group. 1. 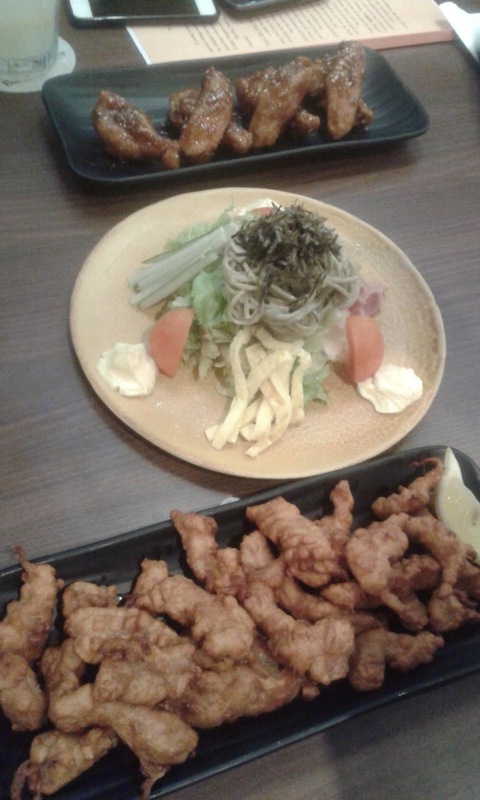 For the appetizing starters you can have the Fried Chicken Wings, the Chasoba Salad and the Pork Karaage. Here are the ones we've tasted below, but to add taste for the Pork Karaage you can squeeze the lemon on top of it. 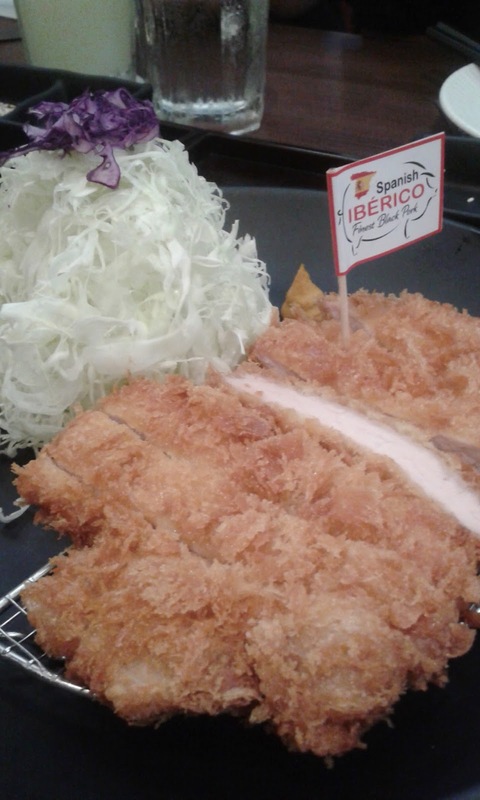 - this Katsu meal is made of the finest black Iberico Pork with a delicate, nutty, meaty, melt-in-in-your-mouth marbling. It is also known as the Pata Negra, the Iberian pigs of south and Southwest areas of Spain. - it is a dubbed angus of pork, a meat from the original strains of Bekrshire hogs from Japan. It is packed with juiciness and is rich in flavor from the meat's excellent marbling. 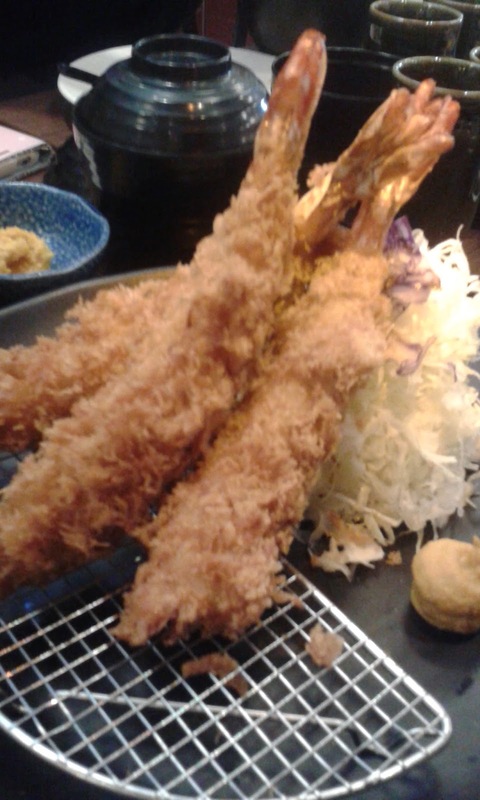 It is considered as the Katsu's crowning glory! 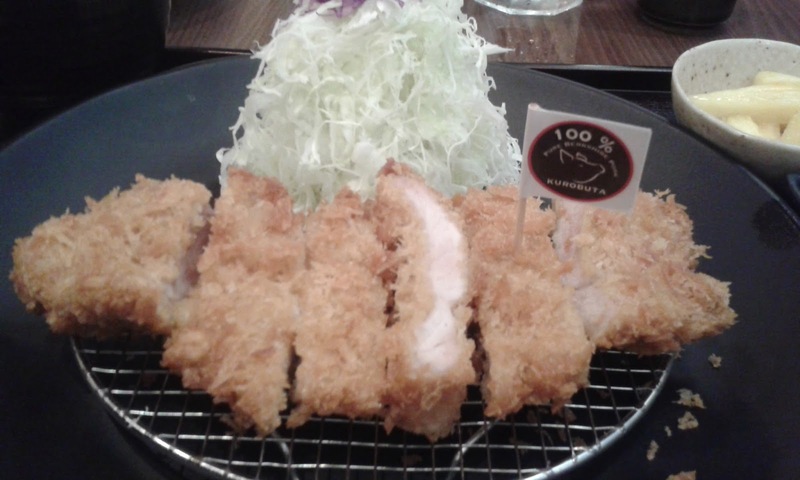 Still, you can choose aside from the two above mentioned Katsu's are the Rosu Katsu sets (deep-fried pork loin sets) and the Hire Katsu (deep-fried pork fillet sets). Another must try is the Jumbo Ebifurai, an imperial prawns that are simply deep-fried to achieve the natural fresh taste of the prawns. Here's a good catch, all of the Katsu sets are served with refillable servings of Japanes rice, shredded cabbage and a bowl of hot Tonjiru, a special miso soup flavored with pork. Grind the sesame seeds straight onto the Tonkatsu to bring the aroma and flavor of the pork. Dip the Tonkatsu in the house blended Tonkatsu sauce with a pinch of Japanese salt for added taste. Include a good amount of the shredded cabbage in between bites to cleanse your palate. But before you'll end your Tonkatsu experience, don't forget this sweet ending bestselling dessert called the Frozen Grean Tea. 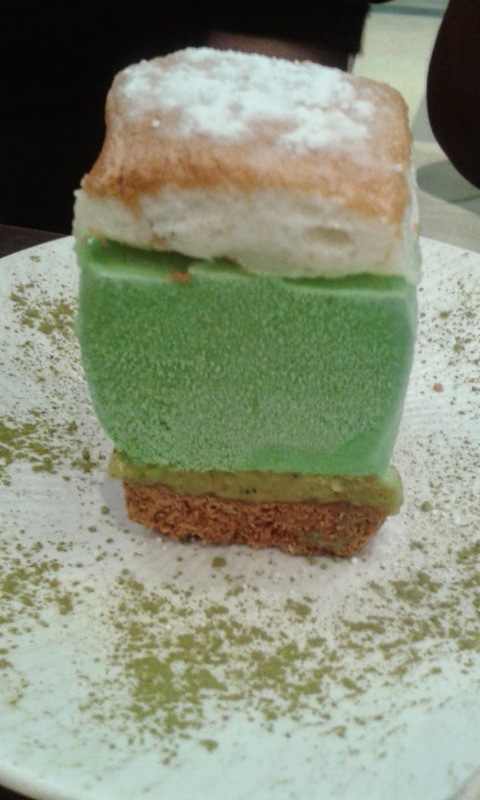 A heavenly slice of frozen, fluffy meringue roll with a hint of green tea! Indeed, it really taste like heaven. 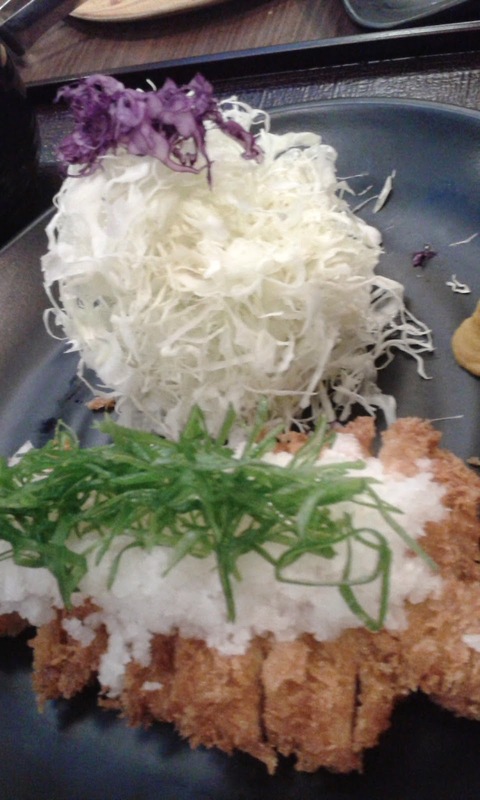 So, I guess it's high time for you to try Tonkatsu by Chef Akinori Terazawa- a Japanese restaurateur. 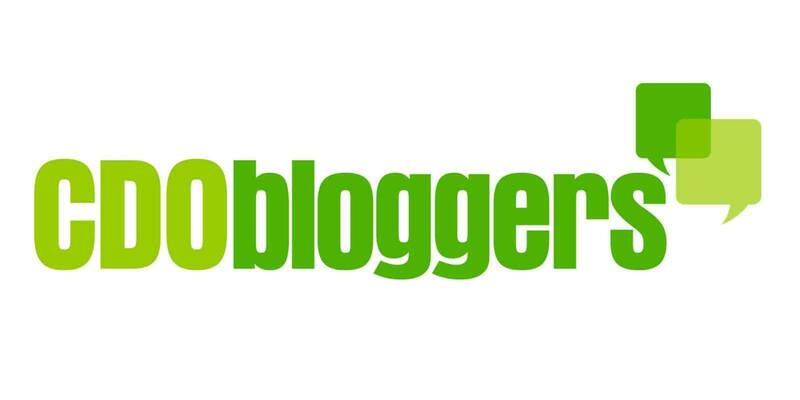 The restaurant is located at the ground floor of Centrio Mall, besides Italianis. For more details, please feel free to check their FB page: https://www.facebook.com/TonkatsuByTerazawa. You can follow them also in Twitter and Instagram @tonkatsuph! 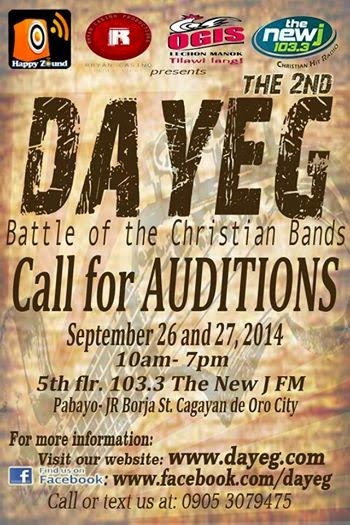 Indeed, I am a Proud Kagay-anon!